Rick Stein has handpicked 12 of his favourite recipes for Starters from his entire collection to appear in this charming gift book. From the chef famed for his championing of home-produced fresh ingredients, this is a selection of delicious and inspiring dishes. 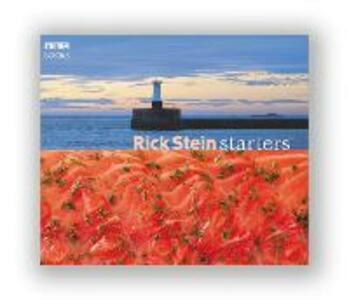 These pocket-sized cookbooks are simply bursting with delectable recipe ideas and, at such a reasonable price, make an irresistible gift or even a souvenir of a memorable meal at one of Rick Stein's restaurants. Along with the other titles that complete the series, Main Courses and Puddings, all the recipes are straightforward and accompanied by a full colour photograph so that everyone can enjoy the food of one of Britain's most respected and popular chefs.